Springfield House is an award winning guest house - five years in a row Trip Advisor Certificate of Excellence. 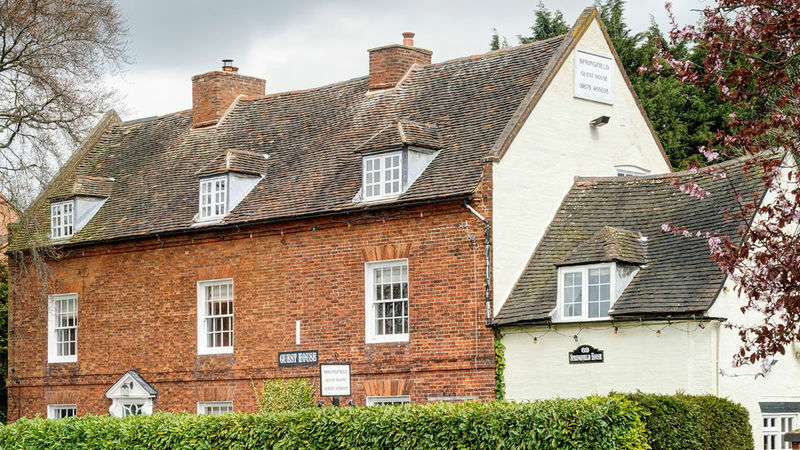 A great bed and breakfast choice for both business and leisure - just 10 minutes from the National Exhibition Centre (NEC), Birmingham International Airport and the international railway station and close to the M6, M42 and M5 motorways. The house retains all the period features and charm of the original Georgian Grade II listed building, while at the same time offering modern facilities to ensure a relaxing and comfortable stay. The rooms are spacious and well equipped with contemporary, stylish bathrooms. The guest house is privately run by its owners, who offer a friendly welcome and have extensive local knowledge. Springfield Guest House specialises in offering flexible stay, park and fly packages and is a great alternative to NEC hotels and close to The Genting Arena, Resort World, The Belfry Golf Course and the Birmingham Grand Central Shopping Centre. Close to Shustoke Farm Barns, we offer great accommodation for wedding guests. To book your stay today contact us directly for best prices and availability, or complete your booking online. We look forward to welcoming you to Springfield House. Why stay at Springfield House B&B?